A recent anti-anorexia campaign from Brazilian modeling agency Star Models takes a literal approach, photoshopping models to look like croquis, the exaggerated model designers use in their sketches. 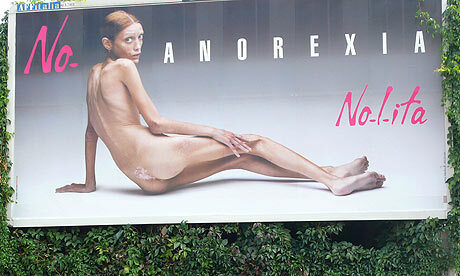 It brings to mind the controversial 2007 anti-ana campaign featuring the late 28 year old model Isabelle Caro. Hats off to Star Models for putting it all out there, but the women who suffer from anorexia look to models like these as goals for “thinspiration.” At the end of the day, any exposure is good exposure for the fight against this devastating disease and if shock factor is the only way to get people to pay attention, then so be it.